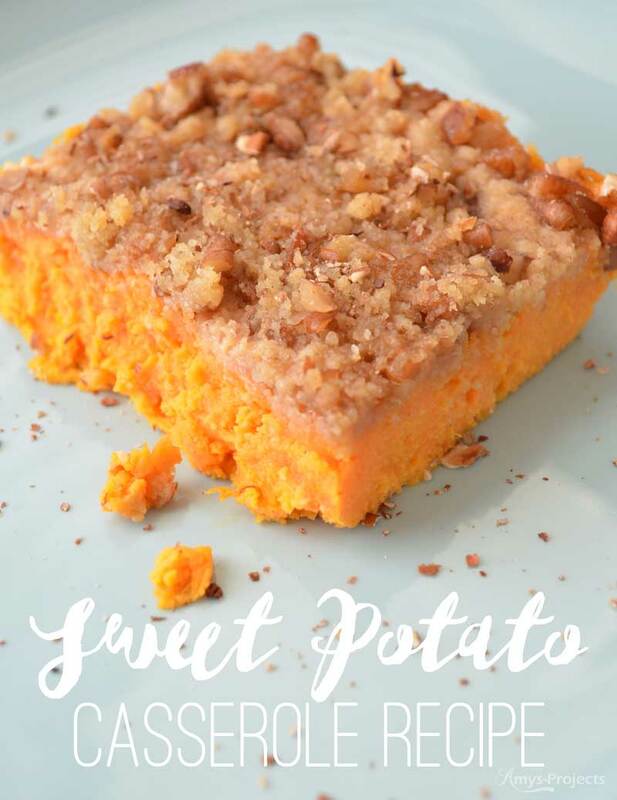 Your Thanksgiving dinner isn’t complete without a helping of sweet potato casserole, but this dish is so tasty that you will want to make it more than once per year! I got this recipe from my Mother-in-law down in Louisiana, and it has become a staple for our Thanksgiving dinner. They have big pecan trees great for making yummy foods like pecan pie and sweet potato casserole. It’s always a treat when they send us up a bag of pecans. In this recipe you can use fresh or canned yams (or sweet potatoes). The canned ‘sweet potato’ or yams sold around here are the 29 oz cans. The recipe calls for 3 cups of sweet potatoes, but 2 – 29 oz cans have about 4 cups of potatoes when mashed and drained. I add all 4 cups and the casserole still turns out great. If using fresh yams or sweet potatoes, peel the potatoes and place in a pot of boiling water on the stove top. The water should cover the potato. Cook in boiling water until you can easily place a fork through the potato. Drain the water and mash the potato. Combine mashed potatoes, sugar, butter, eggs, milk and mix well. 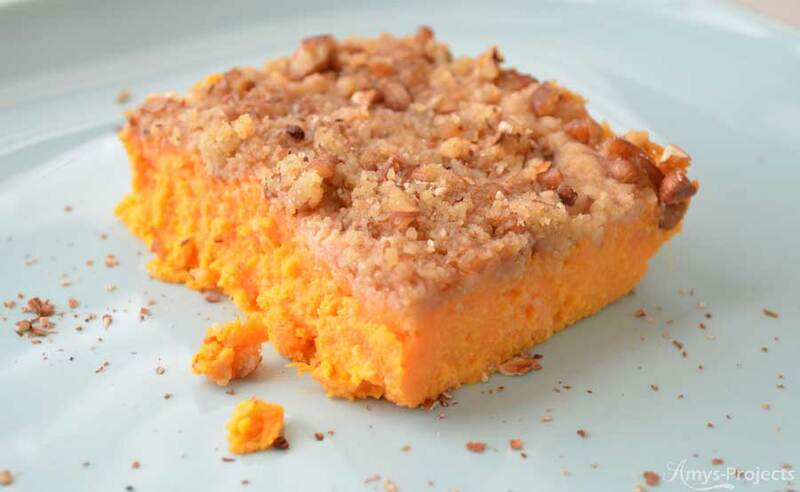 Spread sweet potato mixture into a 2 quart casserole dish. In a separate bowl, mix together brown sugar, flour and pecans. Use a fork and cut butter into brown sugar, flour and pecan mixture until incorporated and crumbly. Sprinkle topping evenly on top of potato mixture. Bake uncovered on 350 deg for 25 minutes or until light brown and bubbly on the edges.